In most states, drivers are required by law to carry insurance on their vehicles. 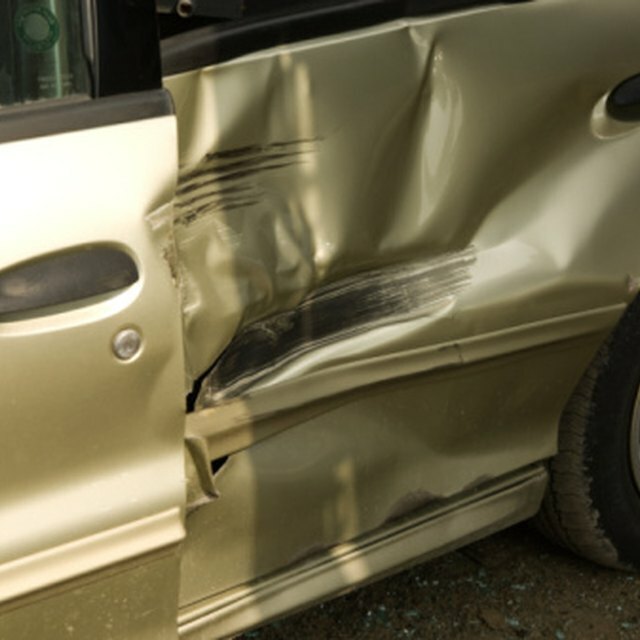 This insurance protects both you and other drivers in the event you get in an accident, as most people cannot afford to pay damages immediately out of pocket. Some motorists ignore the law and drive while uninsured, or they have insurance policies insufficient to truly cover costs. Most insurance companies thus offer some form of uninsured motorist coverage. Uninsured motorist coverage kicks in when you are a victim of an accident that involves another driver who isn't insured or who doesn't have enough coverage in his policy to cover damages. It covers bodily and personal injuries, damages and death when you aren't at fault or when an uninsured motorist is a hit and run driver. The coverage also extends to your wages, should you be unable to work due to the accident, and many policies include pain and suffering. This type of insurance covers you, other named drivers on your policy and any passengers you may have in the car during an accident. Typically, the coverage available through uninsured motorist coverage refers to the maximum the company will pay. Insurance companies usually apply the maximum to each person covered under your policy however, so the actual value of the policy potentially sometimes is worth much more than the dollar figure listed. As of February 2011, uninsured motorist coverage isn't required by most states. However, as the Insurance Research Council points out on both Insurance.com and Insure.com, as many as 1 in 6 motorists don't have adequate vehicle insurance, with the number of uninsured/underinsured motorists reaching as much as 25 percent in some states. This means millions of drivers won't be able to compensate you if you get in an accident. Health insurance may cover some costs, but it doesn't always cover your passengers, and it won't compensate you for lost wages and pain and suffering the way uninsured motorist coverage does. To some degree, uninsured motorist has limitations. For instance, the amount of coverage cannot exceed the liability limits of your policy. Additionally, if you try to settle payment with the uninsured motorist yourself, you waive your right to file an uninsured motorist claim. Lastly, some states have comparative negligence laws, which means insurance companies pay based on how much each party is at fault. For example, if you are found to be 40 percent responsible for an accident, your uninsured motorist coverage will collect only 60 percent. "In excess" regulations also impact coverage. In some states without "in excess" regulations, insurance companies deduct any monies paid from the uninsured motorist from your policy limit. For instance, if you had $10,000 in coverage and the uninsured motorist paid $5,000, your payout would be only $5,000. In other states, uninsured motorist coverage is above and beyond what the other driver pays. In this case, if the uninsured motorist paid $5,000, you'd still be entitled to the full $10,000 you have in coverage.